I was out of town so I missed this post until now. Right up there with haggis and jellied salads is… aspic. I have eaten haggis while in Scotland and it was very tasty; I would have it again (the next time I’m in Scotland). I have also had jellied salads and prefer my Jello straight. I had totally forgotten about Jello…..it was such a staple growing up. I remember my grandmother trying meatloaf in jello once…us kids almost threw up at that dinner table, plus it didn’t hide the fact her meatloaf was awful with a capital “A”……lol….great post! Meatloaf in Jell-O?!? AGH! I like to think I’m an adventurous eater, but the thought of that just turns my stomach. If you managed to put it in your mouth, swallow it, and keep it down, I’m suitably impressed! LOL….to be polite, the four of us kids would look like we were eating it and would turn our heads and spit it out into our napkins….paper napkins, so we would just throw them away when we helped clean up afterwards…none of us took large helpings…she never caught on and my parents just smiled knowing full well what we were all doing. It tasted awful…..and I do mean awful. Have a great week! Hooray for you kids and your ingenuity; and hooray for your parents’ understanding! 🙂 I hope you have a great week, too! Weclearly grew up in the same era. My early days of marraige included creating some phenomenal jello salads in my budnt pan. Very impressive. One horrific recipe included cottage cheese and pineapple and carrots. I should try serving that again. Or maybe not. Good job on Book 14. Do you take a writing break after completion or is it just back at it to the next? I don’t get a break yet — as soon as a book goes to the beta readers I switch to the production and marketing chores. When I finally get the book to market, I usually intend to take a couple of weeks off before starting the next one, but it often doesn’t work out that way. Writing is just plain fun for me! I love haggis! I’ve never heard of your salad, however, I love different foods and would be willing to try it. I’ll admit it, I still like (and make) jell-o salads from time to time, or even just plain jell-o. Must be the midwestern Lutheran in me. Diane, you’re right, the inverted glass bowl lost something in translation! If anyone is interested, I do have two different tupperware molds for jell-o salads I’ve been trying to sell on eBay! Hooray for Tupperware molds! I don’t know what happened to the old ones we had, but I still have my aluminium fish-shaped one… just in case! I love reading cookbooks, too! And I thought it was very cool that medieval “Jell-O” was such a status symbol. Imagine how amazed those people would be if they knew that now it only takes a couple of cups of boiling water and a handy-dandy package! I was raised in the Jello salad era and have always held the belief the putting veggies in Jello does not turn it into a salad. Nor does it make an edible dish. Our local United Church holds an annual garden party that until 2017 still served a large selection of Jello salads. A lot of the food is prepared by congregants and every year for over 20 years I have begrudgingly provided a Jello creation. For some reason I have problems getting Jello to set so I am usually struggling with a runny mess. One year I modified the amount of water hoping it would set quicker. Unfortunately it set before I was able to get all the ingredients in it so I ended up microwaving it to a non-solid state then added the remaining bits and put it back in the fridge. Miraculously it did set again but the top was lumpy instead of smooth. My family all refers to Jello as my nemesis! Yum, Jello! It was often green with sour cream and fruit in it. It still jiggled and made us kids giggle (alliteration?) but was more a dessert than a side. The sour cream made it opaque but still greenish. There were many holiday meals with that! Yes sir! I was raised eating different variations of the delightful wiggly “stuff”. I have even made it for my Thanksgiving Dinner only to find it in the refrigerator either at desert time of after dinner as leftovers were being put away. I believe one of my favorites was the orange jello with grated carrots and pineapple tidbits in it. Even now, a couple of the Chinese restaurants in our area will use the cherry or strawberry jello mixed on the “loose” side and use it with sliced bananas which is really good. Oh yes, there is the “aspic” also. I haven’t made any jello in quite a while, however, I do keep it on hand in my pantry as you can also mix it in cake mixes (in place of the instant puddings sometimes called for). Orange and lemon are especially good. This reminds me of the tins of gelatin that were given out in 40’s during rationing. They even have some that are Margerita flavored. Never have had “Haggis” and only know what I’ve heard which did not encourage me to try and experience it. I hope the new book is a nice long one so it will last. The progress you are making is great and I’m really looking forward to it. Thanks, Drae! Book 14 is definitely long – right now it’s close to 600 pages (140,000 words). I’ve already cut out a small scene (which I might publish here on my blog just for fun), and I’m deciding how much more hacking and slashing to do before it goes to the beta readers. But it’ll definitely end up longer than any of my other books regardless! Grew up with it, still love it, though I am not sure my kids to. Shows up at a church dinner now and again. Yes, you can buy them in Safeway. Maybe even Costco. Tanya makes something called Kholodets by boiling beef (pork or chicken) bones with lots of meat on them for several hours, Then pick the meat off the bones, let the natural gelatin set and enjoy with hot mustard. Is this what some people call head cheese? I love it but no one else will go near it. That sounds like headcheese, and I love it, too! On the farm, we used to make it with all the meat pickings from the head of a pig (including tongue; excluding brains and eyeballs). Hence the name. Nobody I know will touch it, either, but it’s delicious with mustard, or even with a little sprinkle of vinegar instead. YUM! I grew up with it, but it seemed relegated to only being produced by Lutheran Church basement ladies before fading into relative obscurity. Sometimes it will show up at a Lutefisk dinner and bring back memories of bland food from the fifties. I think one of the reasons for its shrinking popularity is that Bill Cosby used to be the spokesperson for Jell-O. I have no hard evidence of that, but just a feeling. Nothing more than feelings. I lived in the days of jello salad. I enjoyed them, survived them, thrived on them. But then I discovered chips and guacamole. Mashed avocado – yum. Next time you make a jellied salad, call me – I’ll bring the guacamole. Guacamole, YUM!!! That’s something I absolutely can’t resist! Hi Diane, I have not fixed an Jello salad in years! Not that I don’t like it, but we have some very “foodie” millennials in the family who really turned up their noses ( an snickered behind my back! – yes, I saw). Next Thanksgiving that they were here, I made Aspic (tomato, shrimp, celery, etc. 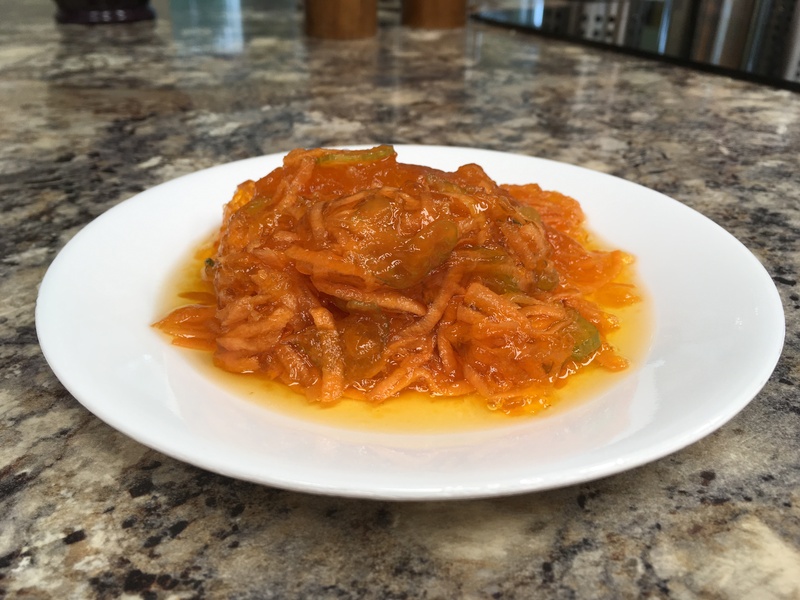 – tomato jello). Same thing, different ingredients…….different name. I am a Southern girl (I use the term loosely) where this was a staple for Holidays, Sundays and any other special occasion. Did not realize how I missed it until I read your post, which is so entertaining, it is like getting an amendment book! P.S. Also a Scot – Haggis is NOT a favorite!!! And thanks for that, by the way. And you’re right; they always looked better in the fancy bowls their creators used. Or jiggling and glistening after being placed carefully on a fancy platter, fresh out of the Bundt cake mold (or the infamous fish mold, or something equally bizarre). Yep, jiggling blobs of memories. Moving on. Congratulations! Beta readers! Another progress bar to obsess over! The Book FOURTEEN download is getting closer every day, and I’m pumped! Gad, what great reads! I’ve about finished incorporating the tweaks I picked up at the last writers’ workshop I attended. I’m gonna hafta stop going to those. If I don’t, I’ll *never* get it finished. ME: Guess what, Babe! I’m nearly finished! BABE: Great! When will you publish? ME: Not long now! Just one more quick pass through just in case I missed a typo or whatever. Granted, the whole thing will be a better product because of all that wailing and gnashing of teeth, er, editing, but still. Oh, no! How weird. I don’t know why it would reshuffle and/or auto-post – do you have some oddball setting in your browser that would trigger a save if it was going to refresh? Or some other weird browser thing? I’ve never had that happen when I’ve been commenting on other people’s blogs; and it’s never happened to me on my blog when posting OR commenting. So… Good news: “it shouldn’t happen”. Bad news: Apparently it happens to you. Maybe try a different browser…? I’ve used Chrome, Firefox, and IE all without any problems. Or maybe try it from a different device if you’re posting from a phone or tablet? I don’t know, but I hope you can figure it out. There’s nothing more annoying than typing out a long comment only to lose it. And I hate the thought that I’m missing part of your comments! Okay, I’ll try that again. Yeah, I gotta quit going to those things. The age-old question: Which came first, the better, or the crazy? The answer? Probably.